The Parched Lands, my short story that was first published in 2013 in Issue 7 of Crossed Genres Magazine, is now available for free from Smashwords, as well as other ebook retailers such as Barnes and Noble, Kobo, and the Apple iBook Store. Retailers besides Smashwords may take several days to index the story. Amanthi is a teenage student in a not-so-distant future school system of hyper-testing and top-down control. In this world, creativity is a liability — but Amanthi is not deterred from dreaming. 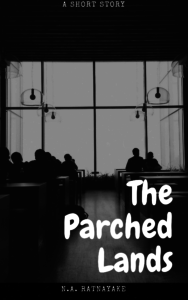 My short story, “The Parched Lands”, delves into the tangled issues of race, tracking, high-stakes testing, and creativity starvation that run through America’s public school systems. For well over a year now, I’ve been spinning my wheels on a sequel to Red Soil Through Our Fingers. Despite the well-known writing advice that the first draft will be crap and you just have to power through it, somehow the three drafts I’ve started and scrapped so far seemed to have more wrong than merely being ordinary first-draft crap. Something really fundamental felt like it was missing. So I finally took a break from trying to write the fourth do-over and decided to just freewrite about what I love in the sci-fi novels that I read. I analyzed my very favorite speculative fiction novels for common threads, and tried to distill them into individual motifs. 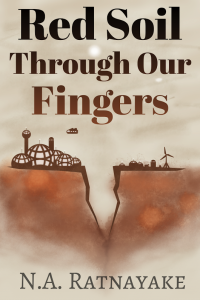 The results were enlightening, and subsequent work has helped me re-plan and restructure the work-in-progress to better align with the elements of speculative fiction that I find exciting. I’ll be at RavenCon 2018 next weekend (April 20-22)! The Con of Opportunity returns to Williamsburg, Virginia with over 300 hours of programming in one action-packed weekend! Gaming, panels, signings, kids’ programming, workshops, readings, vendors, authors, artists, tournaments, costuming, anime, movies, concerts, books, books, and more books! Ask a Scientist: Kids Edition – Saturday, April 21 • 1:00pm – 1:55pm – Room G. Those curious scientific questions we’ve always wondered about but have never been able to ask a scientist, until today! 2001: A Space Odyssey: 50 Years – Saturday, April 21 • 4:00pm – 4:55pm – Room E. A discussion of the 50th anniversary of 2001: A Space Odyssey, and how it stands up to today. If you can’t make any of these panels, you can also find me wandering the con. I’ll be live tweeting (@quantumcowboy) and tooting (@quantumcowboy@wandering.shop) throughout the weekend. I’ll also have the remaining few promo USB drives containing Red Soil Through our Fingers plus my two published short stories.